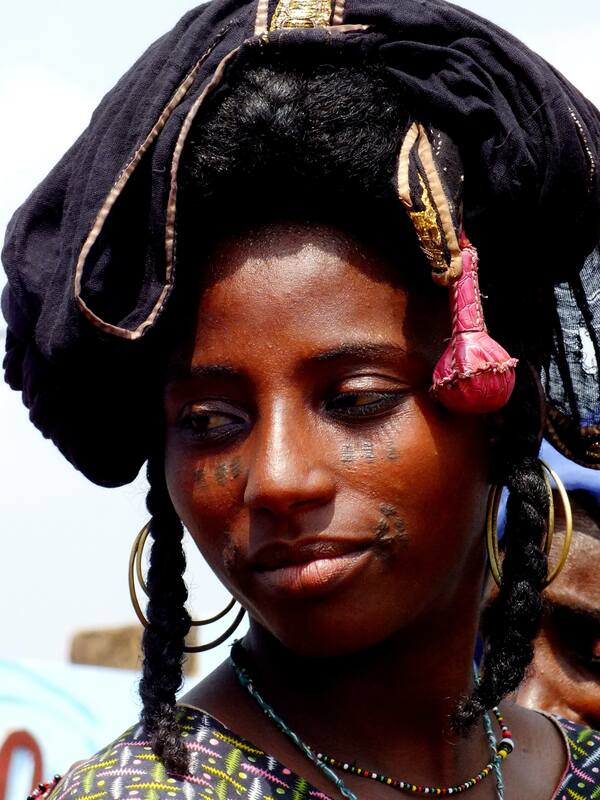 Fulani, Known also as Peul, or Fulbe, are the largest pastoral ethnic group in Africa, numbering nearly 20 million, and spread across the Sahel, from Senegal to Sudan. Fulani culture is based on cattle herding. The number of cows a person owns is a sign of his wealth.They wander in nomadic groups, making temporary camps of portable huts. Some of their dairy products are exchanged or sold at markets for cereal foods. Most men are polygamous, the typical household unit comprising the family head, his wives, and his unmarried children. Look how the man decorate themselves!